On Aug. 27, as the 2018 football season was about to get underway, families of four former college players filed wrongful death lawsuits against the NCAA. Take Sarah Staggs. Her late husband, Jeffery Staggs, played linebacker for San Diego State University in 1965 and 1966, and his brain autopsy revealed chronic traumatic encephalopathy (CTE), a degenerative brain disease from traumatic head injuries like concussions. She claimed in a filing with the U.S. District Court for the Southern District of California, that her husband experienced harm from playing college football, which led to his death at age 70 in 2014, faulting the NCAA’s "reckless disregard for his health." Families of deceased football players at the University of Southern California; University of California, Los Angeles; and Grand Valley State also sued the NCAA over the athletes’ alleged wrongful deaths. USC fullback Douglas MacKenzie (1978-81) displayed CTE-like symptoms before his demise at age 59 in February. A brain autopsy of running back Rodney Stensrud (UCLA 1969-72 and Long Beach State 1972-73) after his 2011 death revealed CTE. Grand Valley State quarterback Cullen Finnerty (2003-06), the winningest signal-caller in NCAA history, went missing while on a fishing trip in 2013 and was found dead days later. His autopsy also revealed CTE. The goal of Jay Edelson, the chief executive and founder of Edelson PC, based in Chicago, is to get jury trials for the families of Staggs, MacKenzie, Stensrud and Finnerty. "Our clients want to get in front of a jury. We think a jury is going to act very favorably to the stories that they have, and we want to get there as soon as we can." What did the NCAA know about CTE? When did they know it? What did the sports association do about such knowledge, such as equipping football players with protective equipment? 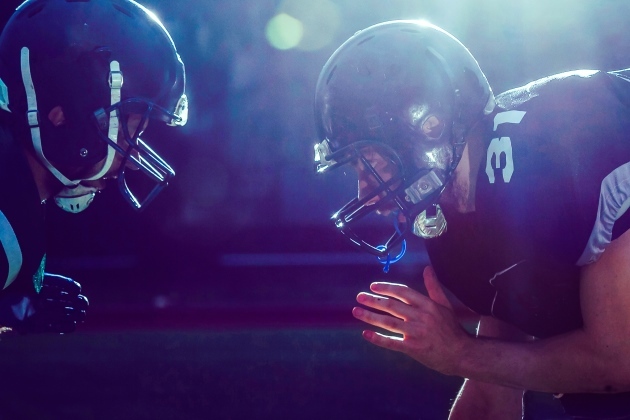 The answers to such questions could loom large in the above families’ wrongful death lawsuits against the NCAA, David Levine, a professor of law at University of California, Hastings in San Francisco, told MultiBriefs. In 2018, there is a growing body of scientific data on the CTE and football pioneered by Dr. Bennet Omalu, who Will Smith portrayed in the 2016 film "Concussion." Consider this. "In a convenience sample of 202 deceased players of American football from a brain donation program, CTE was neuropathologically diagnosed in 177 players across all levels of play (87 percent), including 110 of 111 former National Football League players (99 percent)," according to the Journal of the American Medical Association on July 25, 2017. "CTE, a degenerative disease of the brain that results from traumatic injuries such as concussions, was present in younger football players, too: 3 of 14 high school (21 percent), [and] 48 of 53 college (91 percent) athletes." In Dr. Omalu’s memoir, "Truth Doesn't Have a Side: My Alarming Discovery about the Danger of Contact Sports," he writes that football players at the positions of center, guard and tackle can experience dozens of head blows that injure brain cells during a single game. His 2002 brain autopsy of "Iron" Mike Webster, center for the Pittsburgh Steelers’ four-time Super Bowl champions in the 1970s and ‘80s, dead at age 50, revealed a trauma to tau protein, which supports and transports nutrients to and from brain cells and fiber. Omalu’s subsequent CTE research incurred the wrath of the National Football League. His labor also opened the door to other scientists to research links between CTE and football. Moving forward, youth athletic associations might request adults’ signatures assuming youth participants’ risk of brain injuries and long-term effects such as CTE, according to Professor Levine. Assumed risk for adults participating in sports is a different kettle of fish, though current research on CTE and football does shape that dynamic. The NCAA did not respond to a MultiBriefs request for comment.